Looking for the perfect gift? . . .This red velvet trellis table runner is perfect for dinner parties, Thanksgiving, Christmas, and other holiday dinners. It is functional year round on your table. 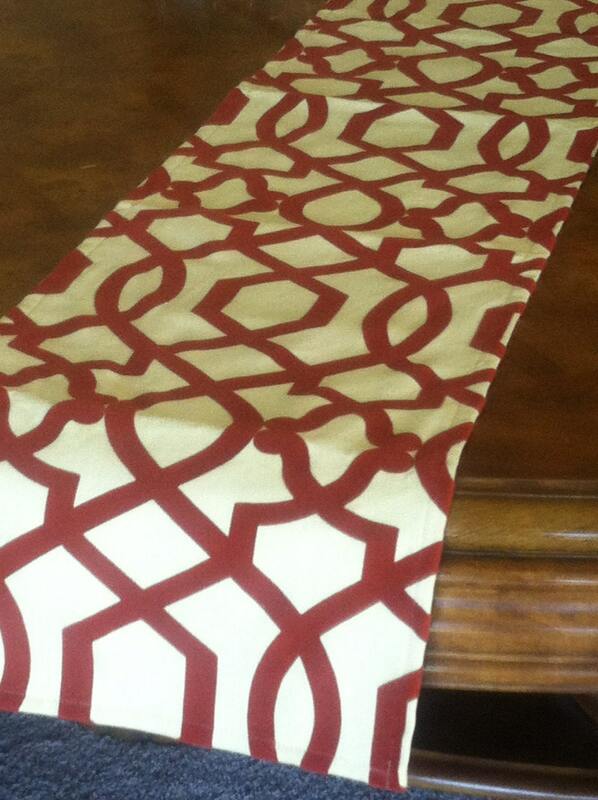 Table runner looks great with gold or ivory napkins. Runner is lined. Ships out in a 1 day via USPS priority 2-3 day service! 12" wide x up to 106" long size. How to measure: If you want the runner to hang over the ends of the table, measure the length of the table and add 10-12". Select the size above in the drop down menu. If you want the runner to be on the table without over hang on the edges, measure the length of the table and take off 24" from your table length. 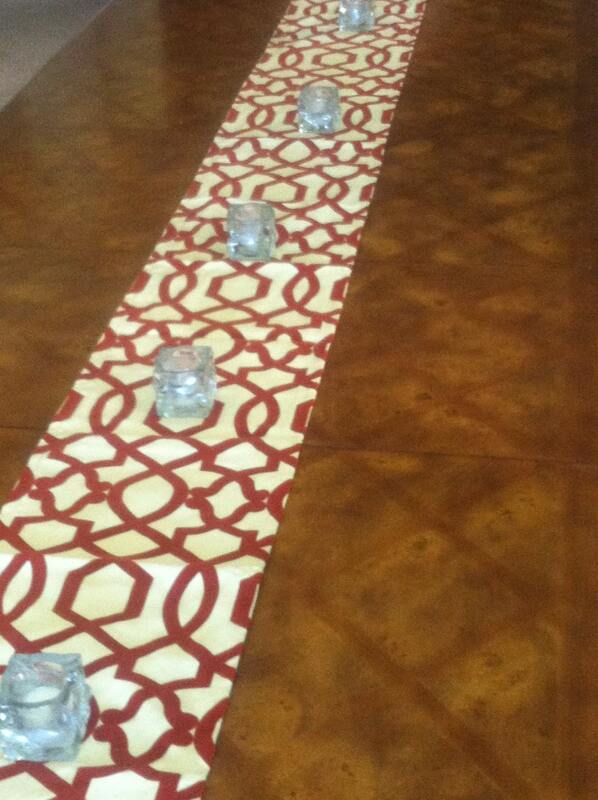 The runner will sit along the middle of your table and leave room at the ends of the table for place settings. Don't see the size you need? Just message us and we can accommodate! 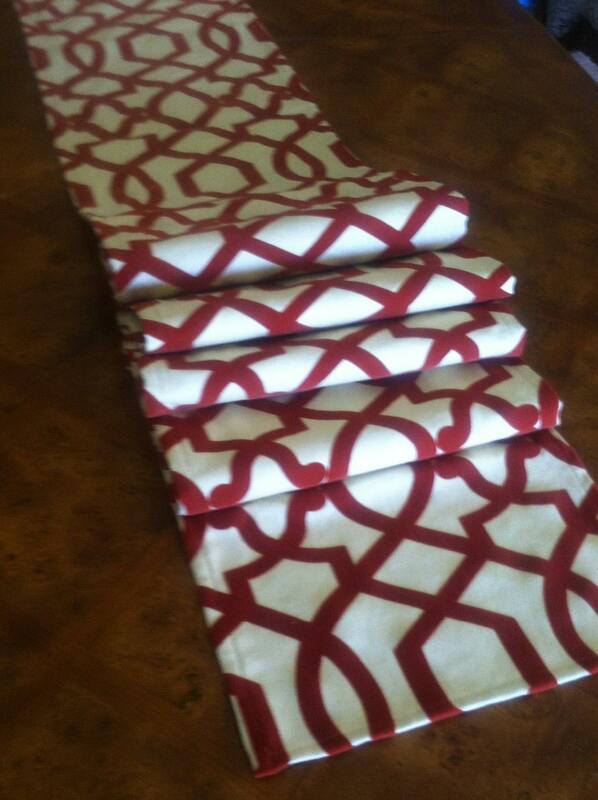 We can do a custom runner or any table linens in any of the fabrics located in the shop under the "custom drapes" tab. Message us with questions.